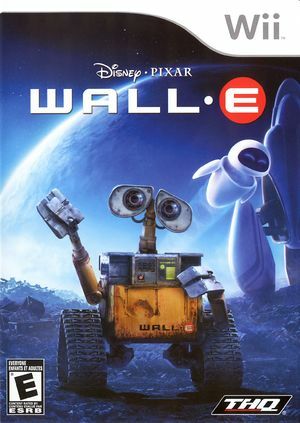 In WALL•E, race, fly and shoot as you take robots WALL•E and EVE through a fast-paced adventure. From the desolate wastelands of Earth to the Axiom space cruiser, throw cubes and avoid obstacles while you explore 9 worlds filled with non-stop action and adventure, along with multiplayer challenges. Dodge dangerous enemies, carry out intense missions and navigate your way through a futuristic galaxy! The graph below charts the compatibility with Wall•E since Dolphin's 2.0 release, listing revisions only where a compatibility change occurred. This page was last edited on 10 October 2017, at 15:17.